As a business owner, the goal of any business is to increase its net income. There are two ways to address this: 1) Reduce operating costs, and/or 2) Increase sales. Traditionally, point of sale systems have concentrated on the first method by reducing operating costs. Chester Ritchie is the former Vice President of Sales & Marketing for CAM Commerce Solutions. 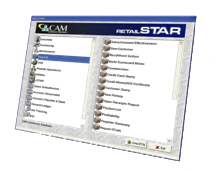 CAM Commerce is a leading provider of point of sale, ecommerce, and payment processing solutions located in California. Please visit http://www.camcommerce.com/ for more information. Love Thy Neighbor and Increase Thy Sales! … than any specific app,” he says. “This is a movement as important as when the web browser came out.” FORBES estimates the revenue flowing through the share economy directly into people’s wallets as more ..